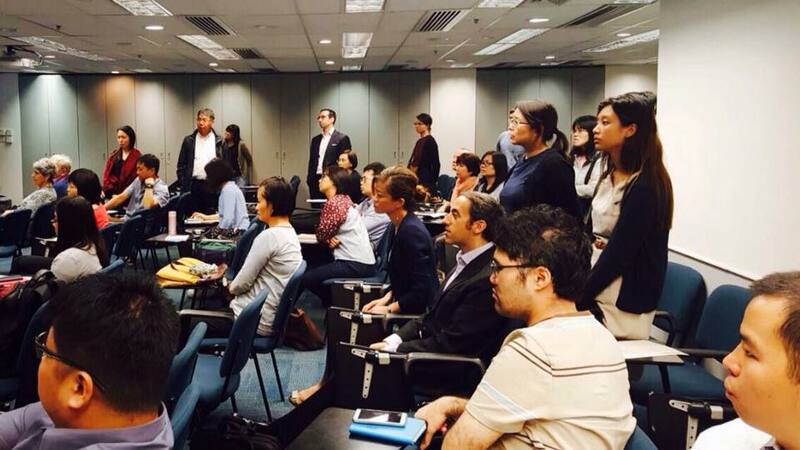 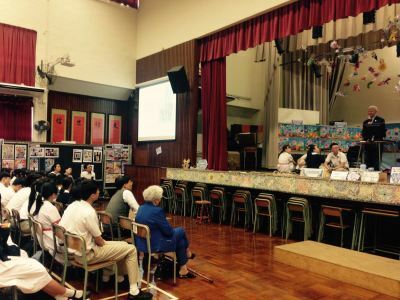 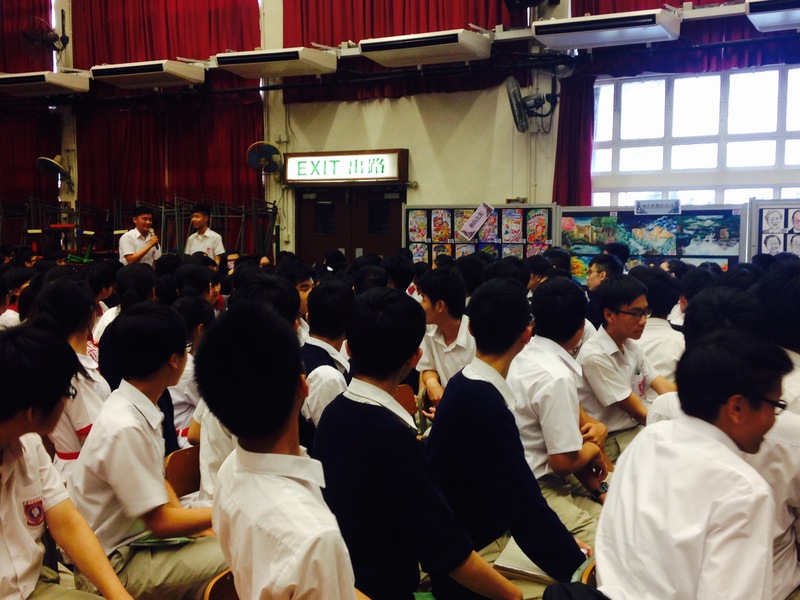 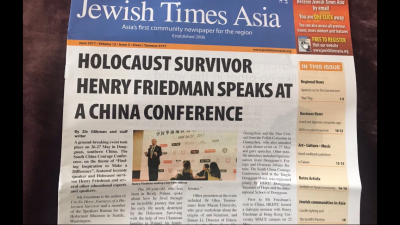 The Hong Kong Holocaust and Tolerance Centre was in China on May 26 and 27, 2017. Holocaust survivor Henry Friedman was joined by HKHTC Director of Education Simon K. Li (Visiting Educator, Anne Frank House) and our Board Director Glenn Timmermans (Professor, University of Macau) to present workshops relating to Holocaust and genocide education. 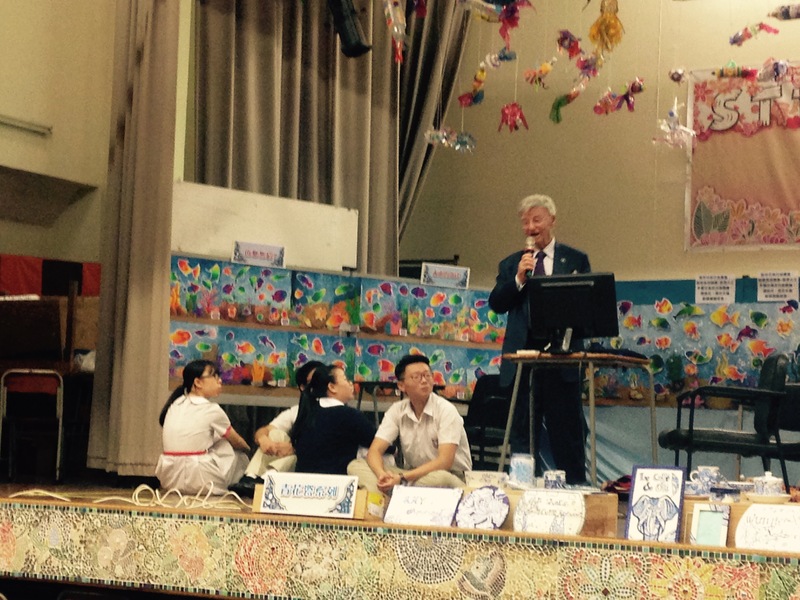 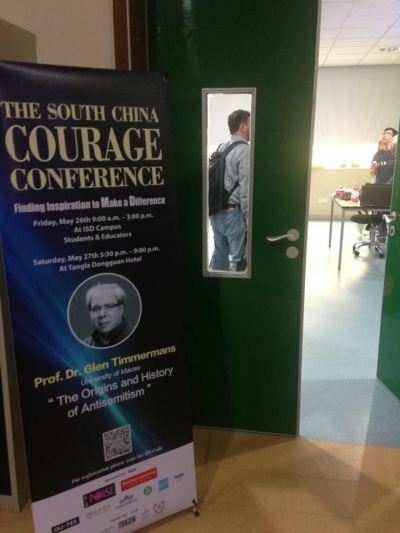 The conference was attended by hundreds of educators from different communities in South China. 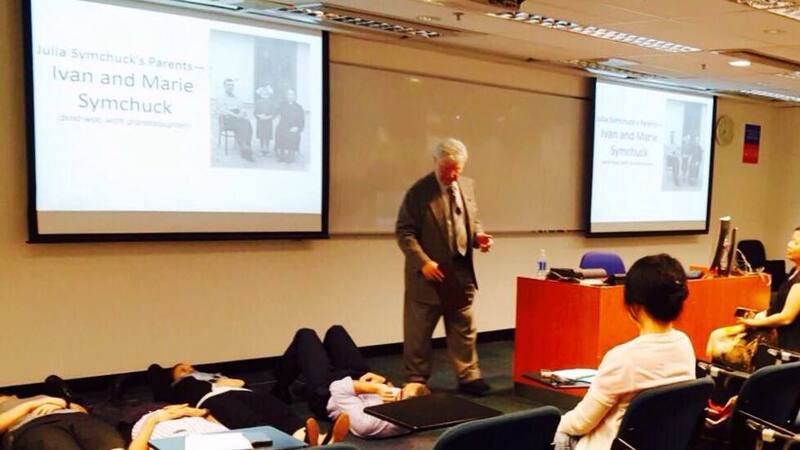 HKHTC was proud to host a dialogue seminar with our guest Holocaust survivor Henry Friedman at the University of Hong Kong’s SPACE campus on May 22, 2017. 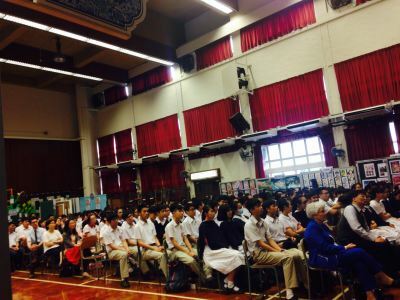 It was a full house with dynamic audience from different generations. 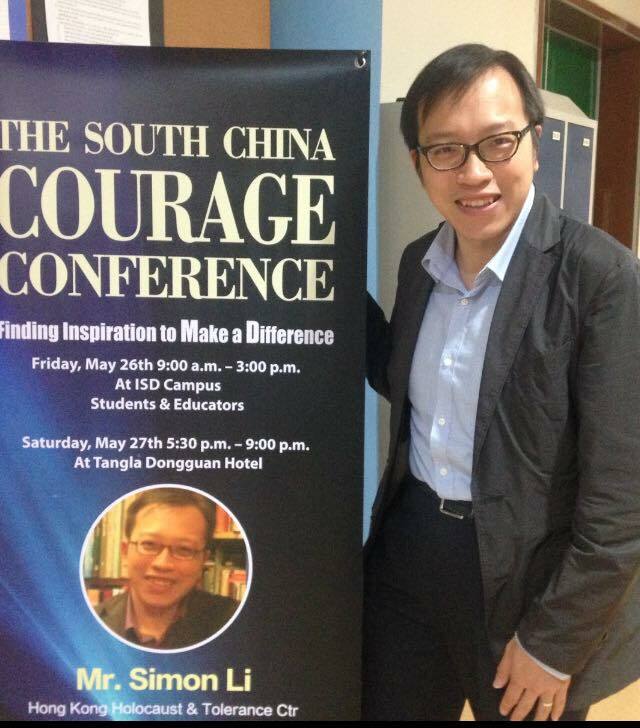 A very memorable evening and discussion. 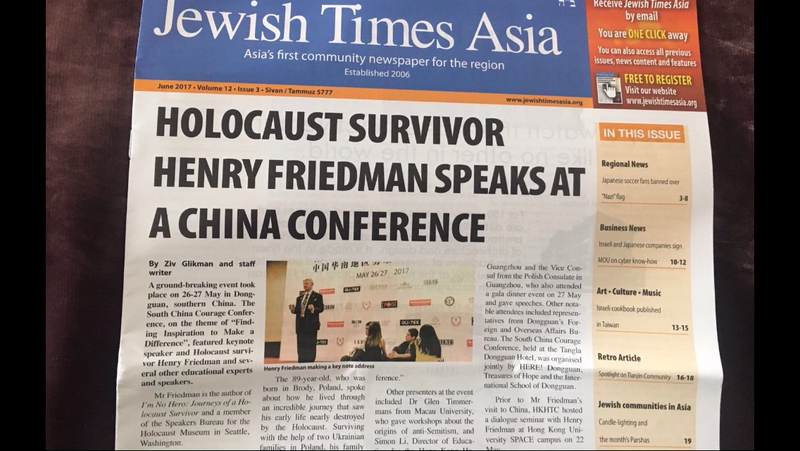 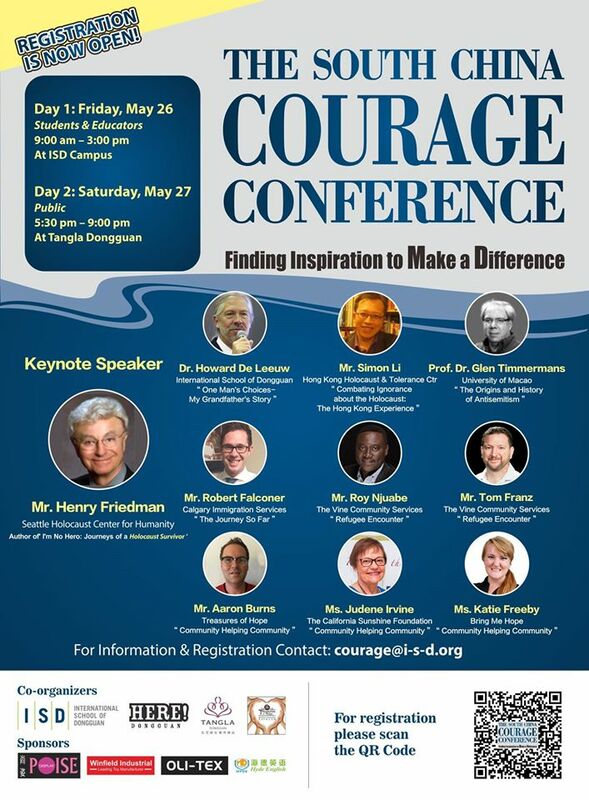 The June 2017 issue of Jewish Times Asia has published a front page story of our Holocaust survivor guest Mr Henry Friedman’s visit in HK and Dongguan, where the Courage Conference 2017 took place in late May. 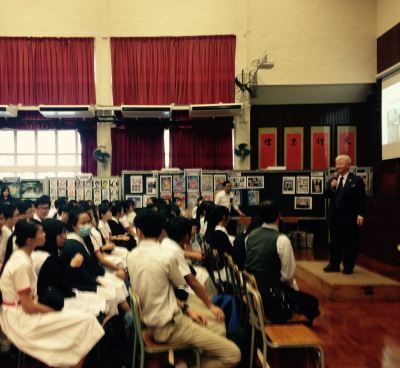 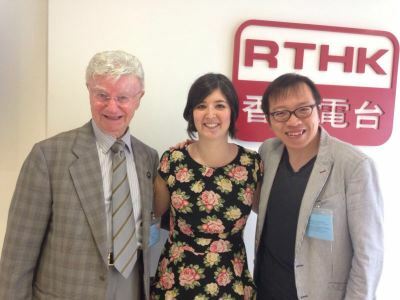 Holocaust survivor Mr Henry Friedman, our in-house guest during the period of May 20-23, was invited by host Rosie Duffield of RTHK to share his harrowing experience living through the Holocaust in a 60-minute interview. 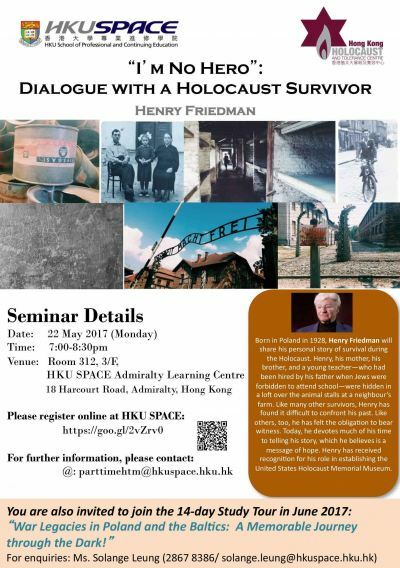 Growing up in Poland, Mr Friedman and his family were quickly swept up by the cruel events punctuating World War Two. 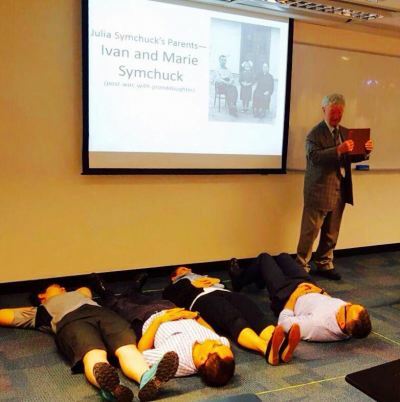 With the help of two Ukrainian families, the family was hidden in a space the size of a queen-sized mattress for 18 months. Nothing was easy during that time. 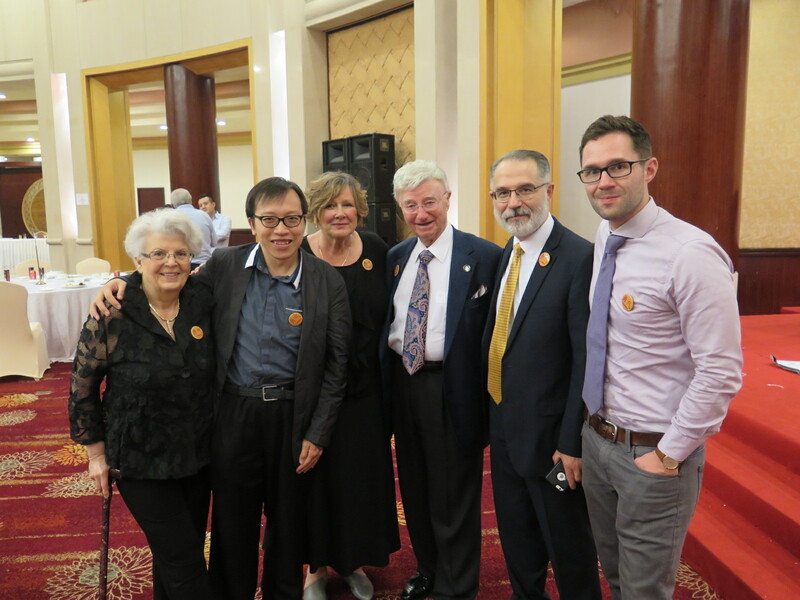 The courage of these Ukrainian families—and so many others like them—lends us critical lessons and stories that should inspire us to live better and treat all people with dignity. 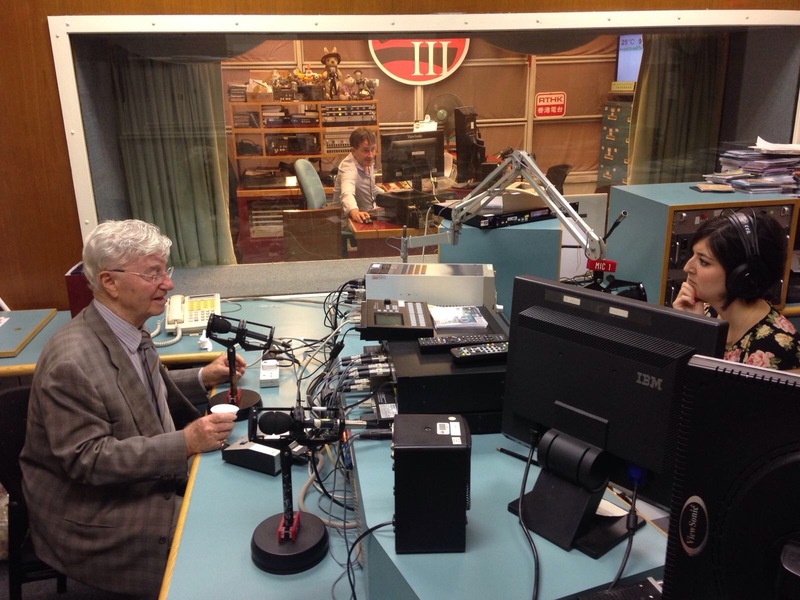 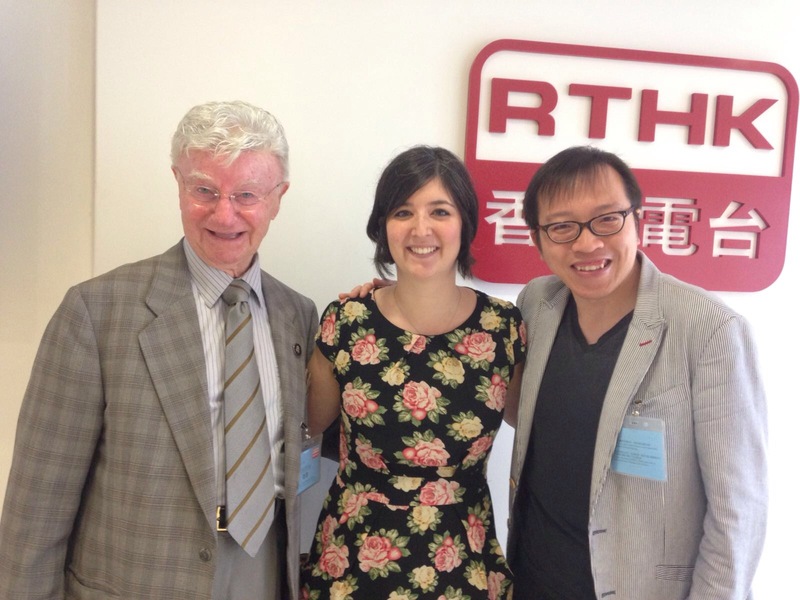 The RTHK Radio 3 interview on May 22 can be listened here.